There are people who decorate as soon as Halloween is over. Others like to have their Christmas decorations up for Thanksgiving and a lot of people decorate as soon as Thanksgiving is over. I think one month is plenty of time for the Christmas tree so we usually put it up on or after December 1st. 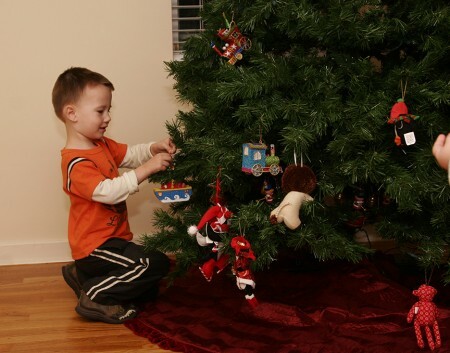 The tree has been up for a week now and the kids were excited to add their ornaments to the tree. 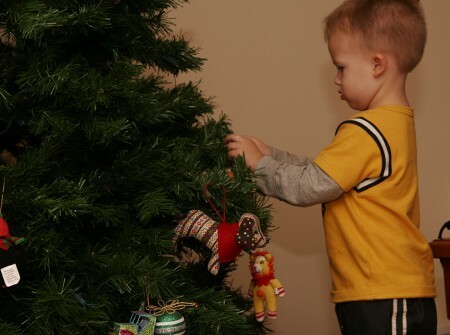 We only have one tree and we let the kids help decorate the bottom half of the tree – so the end result is not balanced – sometimes there is a branch with 3 ornaments on it and there are large gaps in other places. 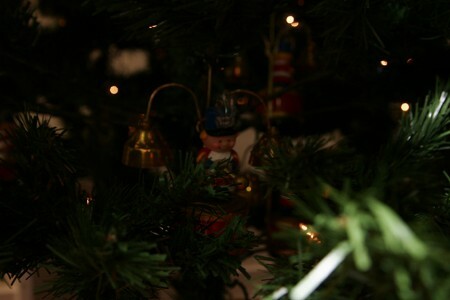 It makes me smile to see how they arrange and rearrange the ornaments. Hanging below the bottom branches of the tree are these little guys. 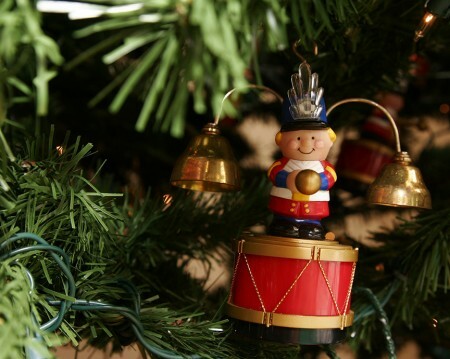 When we turn them on, they figures turn from side to side to ring the bells and play 35 different Christmas carols. The boys love them and we had to establish a rule about the bells – no bells first thing in the morning. After dinner Wyatt enjoys listening to the bells and dancing. 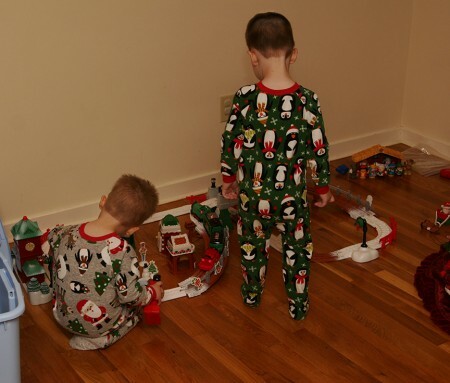 The train set is one of their favorite things about decorating for Christmas. 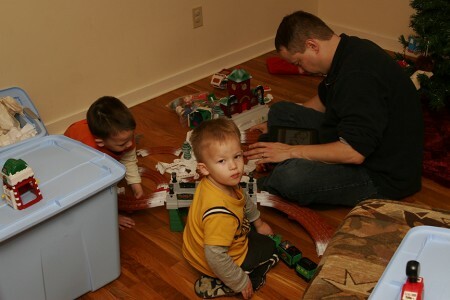 They play with it as soon as they come downstairs each morning. They also love the nativity. They talk about the baby Jesus and his mommy and daddy. 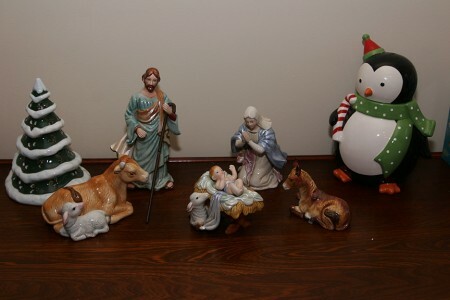 And then they point out the cow, the donkey, the sheep, the Christmas tree and the giant penguin that watch over him.